LA On Lock Radio: Episode 52 feat. Robin Harris Jr. & AQ. Hosted by Pookie F'n Rude & Macharo. Tune in below! LA On Lock Radio: Episode 51 feat. Trilliano. Hosted by Pookie F'n Rude & Macharo. LA On Lock Radio: Episode 50 feat. RJMrLA. Hosted by Pookie F'n Rude & Macharo. Tune in below. Compton Native Parc Bo finally released his first full length project 'Parc Life' under his label 'Money Talk Loud'. If you know Parc Bo then you know he's a heavy weight when it comes to his lyrics. Just listening to a few minutes of this project his lyrics cut deep and paint a picture in your mind with every word of his enduring mellow voice and mix of up-tempo and chilled beats has you instantly putting this mixtape on repeat. You can tell he reps and lives the west coast with every breath, raised in the same neighbour hood that MC Eiht claims. "I grew up on da west side of Compton it influenced me heavily knowing I was really living da lifestyle that most rappers rap about at an early age"
Visuals for the track 'Parc Life' featuring AD has been released and had a positive response from the industry and is raking up the numbers, visuals by YC films. This project is produced by Kenny McCloud. Parc Bo recruited artists such as AD, Cocc Pistol Cree, Cash Daddy, J Vet, MC Eiht, Tha Chill, Tre Legend and Slim 400. Available on all digital platforms - Tidal, Spotify, ITunes, Google Play & Soundcloud. LA On Lock Radio: Episode 8 featuring special guests CMO Uno & Radio Base. Hosted by Pookie F'n Rude. Co-hosted by Macharo. Tune in below. LA On Lock Radio: Episode 7 featuring special guest Dark Ghost Phix. Hosted by Pookie F'n Rude. Co-hosted by Macharo. Tune in below. LA On Lock Radio: Episode 6 featuring special guest They Call Me P.Y.T. Hosted by Pookie F'n Rude. Co-hosted by Macharo & FUDGE. Tune in below. LA On Lock Radio: Episode 5 featuring special guest Wyel Legend. Hosted by Pookie F'n Rude. Co-hosted by Macharo & FUDGE. Tune in below. LA On Lock Radio: Episode 4 featuring special guest Killa K of LA On Lock Music. 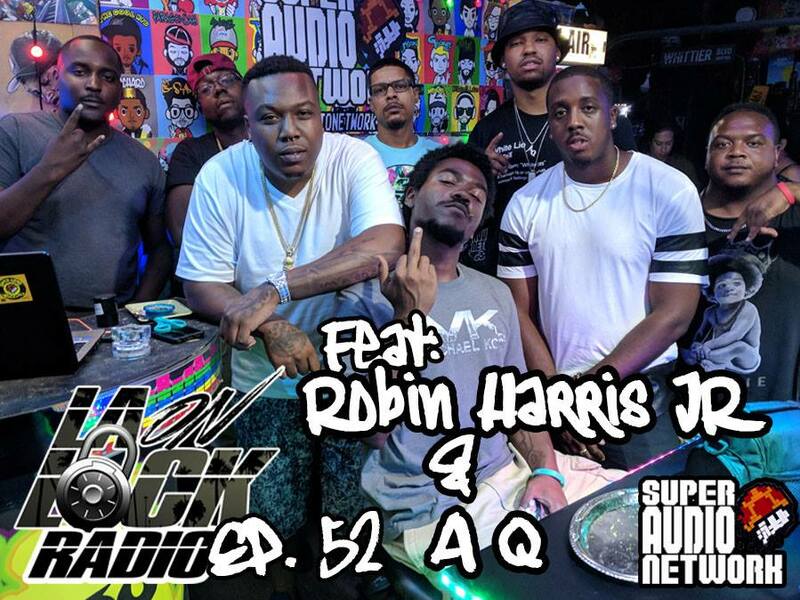 Hosted by Pookie F'n Rude & Co-hosted by FUDGE. Tune in below. LA On Lock Radio: Episode 3 featuring special guests Spiffie Luciano & comedian FUDGE. Hosted by Pookie F'n Rude. Tune in below. 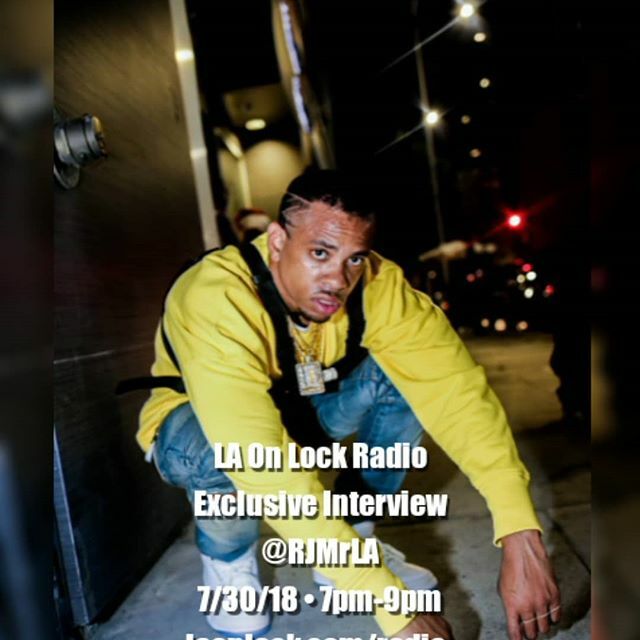 LA On Lock Radio: Episode 2 featuring special guest SBA1, little brother to R&B artist TeeFLii. Hosted by Pookie F'n Rude. Tune in below. This past Monday we had our first episode of LA On Lock Radio. If you missed it tune in below & leave a comment.